Buying tools for yard work can be costly, especially when you look at power equipment such as string trimmers. Here are some simple and easy ways to help you stay within your budget and save some money when you purchase your next string trimmer. Hands down, corded electric models are going to be the most affordable out of all the power source options, so this is the best place to start if you’re working on a seriously tight budget. The biggest drawback here is that you may be limited in your work area, since you will have to keep the unit plugged into an outlet at all times. However, these models are often great for small yards or areas with less space. 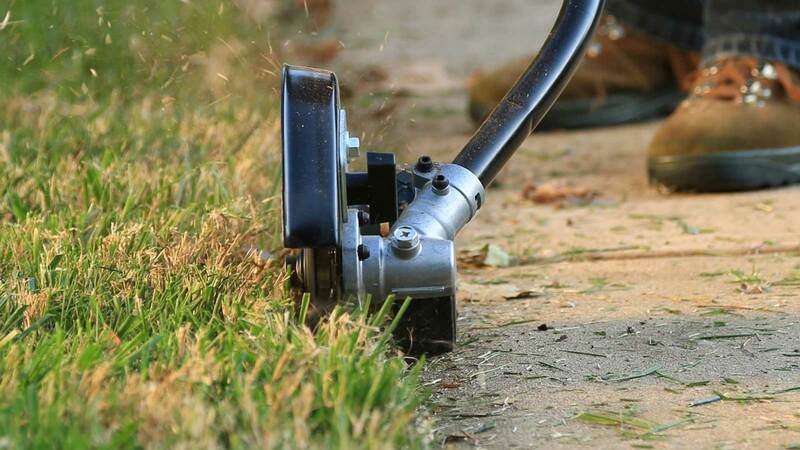 There are a lot of string trimmers out there that tout a wide range of fancy features that can help save you time and effort out in the yard, like having a built-in edger or a telescoping shaft. However, these features are by no means necessary to get the basic job of maintaining a lawn done, so you can usually skip them without losing out. However, if there is a feature that you think will save you a huge amount of time or effort, like having a built-in edger that converts with the push of a button, then it might just be worth spending a little bit extra. While it is possible to find bundles that can save you money on purchasing several items separately, you have to ask yourself if you actually need those extra items to begin with. If you don’t really need a power sweeper or electric trimmer, then the amount you would be “saving” by choosing the bundle doesn’t really matter because you’re actually spending money on something you wouldn’t have been buying in the first place. Most people forget to factor in the eventual maintenance that comes with owning tools like this, which can sometimes translate into some very costly repairs down the line. Try to choose a model that has features that will help you keep the unit in good shape, or stick to a model with a good warranty that will cover replacement parts. Finally, you should always check the full contents listing for each unit before you make the purchase. Sometimes, you can end up finding a model that includes a few spools of line, which can be a nice little bit of extra savings. However, there are also models that exclude key components, such as a battery-powered trimmer where the battery is sold separately, that can quickly turn into a much higher final cost.